Never has it been easier to order delicious specialty, gourmet, and artisan cheese varieties from Ashe County Cheese Factory. If you are like others, once you find something that you love and cannot live without, you will stop at nothing to get it! Ashe County Cheese is a favorite among many. There is no need to search other Cheese Stores Online – Ashe County Cheese Factory has set up its own online store! We constantly hear from folks across the country that want to Buy Cheese Online from our online Cheese Shop. To meet the demands, we have set up our Cheese Deals Online in our online cheese store. You can order and Buy Cheese Blocks Cheap Online from Ashe County Cheese Factory. Our factory has been operating since 1930 making us one of the historic cheese brands that has remained. Most folks discover our cheeses and simply cannot go back to using the varieties that they used prior to finding out about our cheesy goodness. We are one of the only Cheese Stores Online that make all of our cheese onsite – at our historic cheese factory in the Blue Ridge Mountains of North Carolina. Search our Cheese Stores Online in the different categories, to find the variety that you are looking for. We sell 12 oz Cheese Bricks and two and three pound Cheddar Wheels, click to see these Cheese Deals Online. We also feature Specialty Cheese like Squeaky Cheese Curds and oven baked, breaded, Juusto Cheese. Looking for traditional, hard to find cheeses like Hoop Cheese and Farmer’s Cheese? 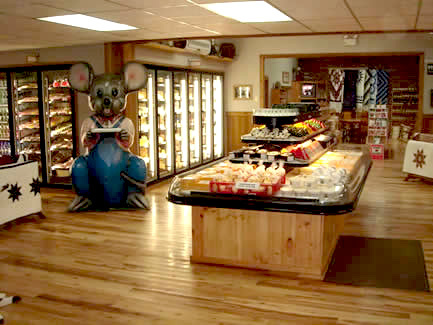 We’ve got you covered; just browse our Cheese Stores Online at Ashe County Cheese, inc.